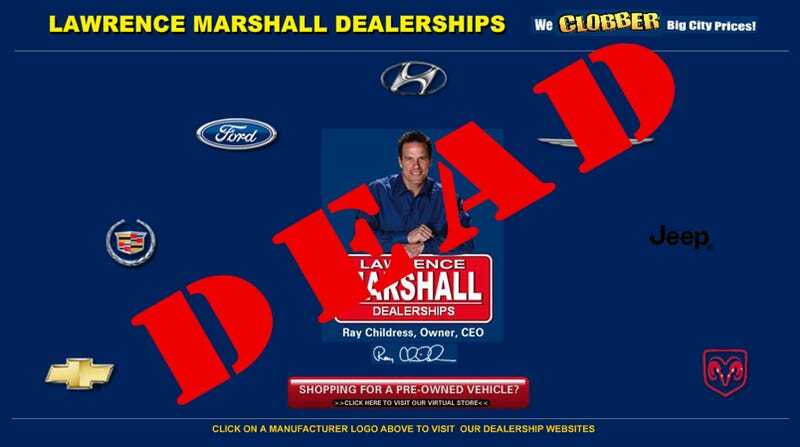 The Lawrence Marshall Dealerships sold not-so-Big Three and Hyundai products in a 40-acre complex in southeast Texas. Known for selling a lot of Ford and Chevy trucks, it was sadly clobbered by the Carpocalypse. Whereas the recently closed Bill Heard Chevrolet in Houston was the typical sketchy dealership owned by an out-of-towner, the locally-founded Lawrence Marshall had a much better reputation for customer service and philanthropy. First opened as a small lot by Lawrence Marshall in the 1960s, the small dealership grew into a massive complex. Anyone who lives in southeast Texas is familiar with the commercials featuring former Houston Oilers defensive lineman and company CEO, Ray Childress, offering to "clobber big city prices" during nearly every commercial break. Lately, some people have noticed Childress was less-than-enthusiastic during recent commercials. The spirited "clobber" was gone. With approximately 240 employees and a large business disappearing overnight, we've got a bad feeling about what this means for the local economy. The commercial to the left is of the sadder Childress, a shadow of the man he once was.